The recent SC’s judgment decriminalizing Section 377 is more than just an act of inclusivity. But organizations that wish to move towards truly promoting and creating an equal opportunity workplace will need more than a mere change in mindset or policies. A leading technology company in India recently terminated its Chief Diversity Officer for discriminating against a former employee basis his sexual orientation. The former employee had already resigned from the company based on certain incidents occurred in 2015, but decided to file a complaint now after the Supreme Court’s (SC) recent judgment of partially decriminalizing homosexuality. The SC’s judgment may possibly go down in history as one of India’s landmark rulings. Section 377 of the Indian Penal Code, 1861 was partially struck down by the SC as it was seen to violate the fundamental rights of equality, prohibition of discrimination, freedom of speech and expression, and more importantly, the right to life. As a result, being gay is no longer illegal…or to be afraid of. Although this ruling may soon become a matter of ‘pride’ for India, in a conventional society like India, considerable efforts will be needed to change mindsets. Indian labor laws may take a while to reflect this development. For example, the benefits under the Maternity Benefits Act applied only to women. There is no provision of paternity leave, except for government companies. The Equal Remuneration Act prohibits discrimination of women in relation to recruitment, promotion, training or transfer. Conditions in relation to night shift work, especially in relation to employee’s safety and security, are meant to protect only female employees. Hopefully, the SC judgment might trigger a reconsideration of the extent of the coverage of these laws. History owes an apology to the members of this community and their families, for the delay in providing redressal for the ignominy and ostracism that they have suffered through the centuries. The members of this community were compelled to live a life full of fear of reprisal and persecution. This was on account of the ignorance of the majority to recognize that homosexuality is a completely natural condition, part of a range of human sexuality. While celebrations of the SC judgment will continue for a considerable period of time, employers have already started evaluating its impact at the workplace. Whether the Indian corporate sector is likely to respond positively and recognize the rights of the LGBTQ community at the workplace, remains to be seen. Some progressive companies have already taken affirmative action to promote LGBTQ initiatives at their workplaces. For the rest, CEOs and HR leaders need to first address some important questions. Whether they would like to adopt any progressive measures voluntarily, without being required to do so by law? Are they ready and prepared to send the message that all employees are equal and welcomed? Can they assure LGBTQ employees that they will be valued and accepted by the entire organization? Should the corporate sector decides to move ahead in the direction of creating an equal opportunity workplace in its truest sense, some initial steps to be taken are indicated below. Actively and continuously promoting gender diversity and feeling of inclusion at all levels within the organization. Reviewing employment forms and documents to broaden any categorization that may currently be limited to male and female, by including ‘others’ or ‘neither’ option. Reviewing HR policies to remove any gender bias and making the organization gender-neutral, followed by ensuring awareness and acceptance of the revised policies among the employees by organizing company-wide discourses. Effectively prohibiting of any form of harassment, discrimination, bullying or victimization, based on an employee’s gender or sexual preference, and showing a zero-tolerance attitude for any breach. Engaging external HR experts to regularly conduct training and sensitization programs to help change the mindset of the employees as well as contract workers. Reviewing existing employee benefits programs along with insurance coverage to ensure that the support is extended to LGBTQ employees and to their partners nominated. Showing support towards the LGBTQ employees by providing appropriate infrastructure at the workplace and giving them the confidence of speedy and effective resolution of their grievances. Organizations that wish to move towards truly promoting and creating an equal opportunity workplace, will need more than a mere change in mindset or policies. 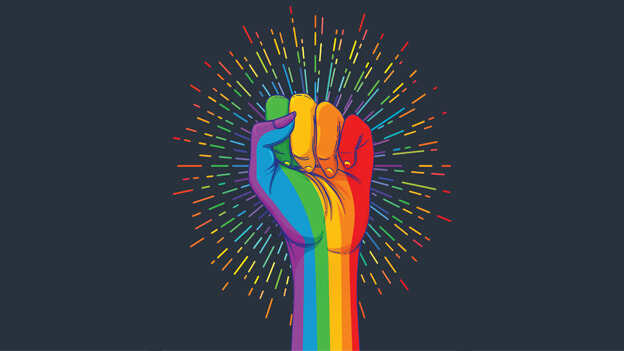 The SC’s judgment decriminalizing Section 377 in line with the fact that ‘no one can escape from their individuality’, is in our view just the beginning! Archita Mohapatra is a member of the HR Law(Employment & Labor) team at Nishith Desai Associates.